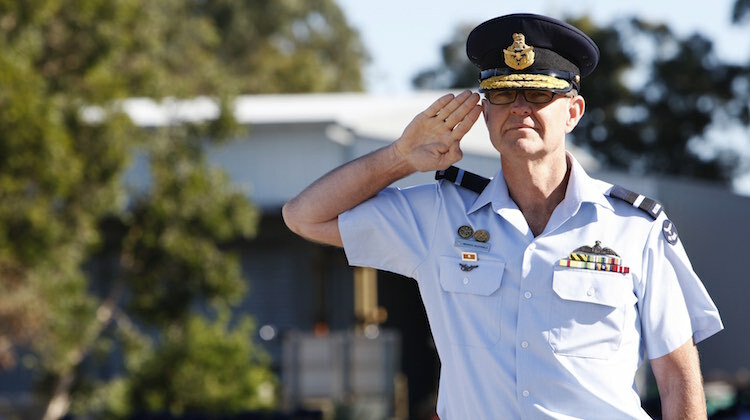 Commander Air Mobility Group Air Commodore Warren McDonald CSC has been appointed the next Deputy Chief – DCAF – of the Royal Australian Air Force. McDonald, who will be promoted to Air Vice-Marshal, will assume the role of DCAF in July, when current deputy chief Air Vice-Marshal Leo Davies will be appointed Chief of Air Force, in turn replacing the current retiring chief, Air Marshal Geoff Brown. “Air Commodore McDonald has excelled in a number of senior command appointments and brings a wide range of operational and staff experience to the role,” AIRMSHL Brown said in a statement on Tuesday. Air Commodore McDonald joined the RAAF aged 15 as an apprentice motor transport fitter. After commissioning and undergoing pilot training in 1989 McDonald would enjoy a long career in the P-3C/AP-3C maritime patrol world – with over 5,000 hours on type – rising to become commanding officer of 11 Squadron in 2007 and then officer commanding 92 Wing in 2009. In late 2011 McDonald deployed to the Middle East as the Australian Air Component Commander for Joint Task Force 633 as part of Operation Slipper, before returning to Australia in May 2012 when he was promoted to Air Commodore and appointed Director General Capability Planning – Air Force. He subsequently assumed command of Air Mobility Group in December 2013. I am retired from he RAAF, living in the USA and I was somewhat surprised to read in the on line RAAF News of the appointment of an Air Commodore to the RAAF’s DCAF position. The details provided here of Warren McDonald’s background speak volumes for the character, ability and progressiveness of the RAAF today. That an airman who started as an apprentice motor transport fitter, who undertook pilot training, and rose through all the leadership levels in 92 Wing, endorses the ability of the Service to recognise and acknowledge personal ability, and the experience gained in the demanding and diverse Maritime Patrol world. Congratulations AVM McDonald. Well done RAAF.